Do you want to know our secret to help women reshape their post-pregnancy body and lose inches from their midline to fit into their pre-pregnancy clothes? Well, okay… it’s not really a secret, it’s our Fit & Fab Fitness Challenges—our most successful group, goal-based program. We just wrapped up our Fall Fitness Challenge this week, and here’s how the 60-day program transformed one mom AND her family. 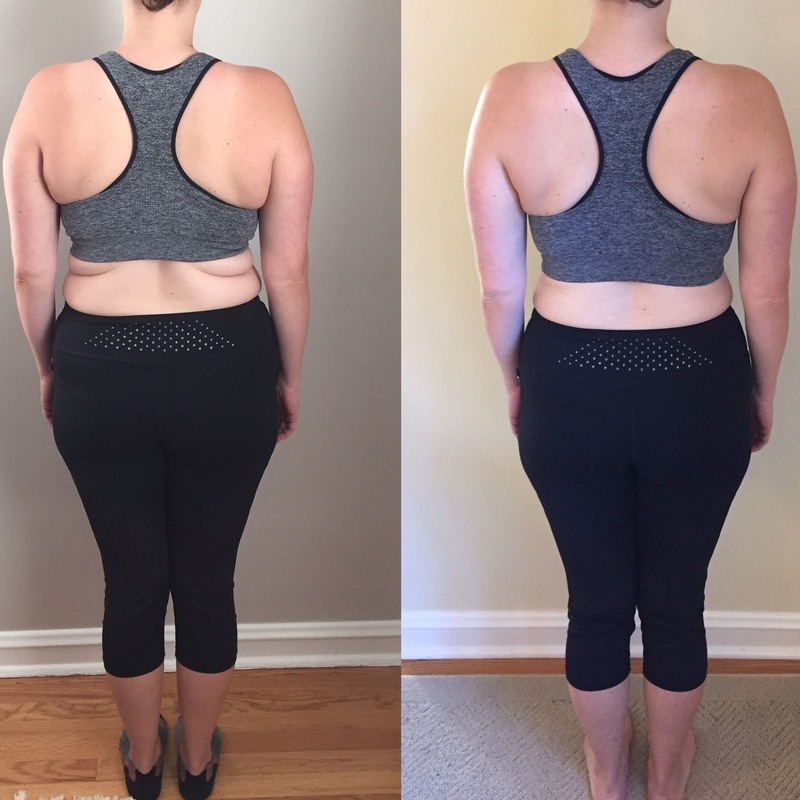 “I have been able to stick to my goal of no sweets – I have not had any sweets over the past two and a half months; I was motivated to continue tracking what I eat; and I now look forward to exercising. The workouts have provided some much-needed “me” time. It’s been nice to work out alongside other moms, and I am truly amazed at how adding just one intentional workout per week has encouraged me to be more active each day during the rest of the week. • I am noticeably stronger, and I enjoy exercise much more than I did 2 months ago. • I lost 11 pounds during the challenge. • I lost 3 inches from my waist, 1.5 in from my hips and thighs, and .75in from my arms. • I went from clothing size 12/14 to a size 8/10. • I lost all of my remaining baby weight from my second pregnancy, and am 3 pounds away from my pre-pregnancy weight from my first pregnancy. I did not expect to be at this place in terms of physical fitness and size so soon. My second daughter is not quite 11 months, and I feel so proud that I am at this weight, size, and so energized about fitness before she is even a year old. This experience has been transformative for my whole family. My husband has prioritized his own fitness and nutrition and has also lost weight over the course of the challenge. We are making healthier food choices for ourselves and the girls, and we are choosing more active outings as a family. No exercise experience is required to start a strength training program, like Fit & Fab. Lifting weights is an important addition to changing your fitness. When done with the proper progression, weights can transform your body like no other cardio or light-weight workout. Do you need a different type of workout to finally see and feel the changes in your post-baby body? Join us for a Fit & Fab test-drive for just $25. Experience a session for yourself and you too will be hooked. Fit & Fab’s next 60-Day Fitness Challenge will begin January 2017! Stay-tuned details will be announced in a few weeks.